With over 20 years' experience in sourcing specialist skincare and beauty, and with access to over 150 luxury brands, we're perfectly positioned to curate exceptional gifts to help welcome, congratulate and thank colleagues, clients and new partnerships. We can arrange for each gift to be beautifully wrapped. Simply add clear instructions to your online order at checkout, or speak to a Corporate Advisor. As a corporate customer, you will receive free Next Day Delivery to one UK address. All corporate accounts are eligible to have their own N.dulge card, so you can earn points towards your next purchase. Click here to view full N.dulge terms and conditions. Whether you chose to shop online or over the phone, you will be allocated a Corporate Advisor who will assist you with all your gifting needs. Our unique service also includes access to bespoke events, skincare or makeup consultations and makeovers. Email events@spacenk.com to organise your event. You can select up to 10 units, if available, on the product page but you can add up to 99 units per product on the shopping bag page. If you increase the amount on the Shopping Bag page please click 'Update Bag' to make your changes. If we do not have enough stock, it will show how many we do have, but please feel free to contact Customer Services to see what we can do. Next Day delivery will be automatically selected on checkout. Orders must be placed before midday for next day delivery, any orders placed after midday will receive their order on the next working day. Make sure your N.dulge card number is linked to the order on checkout, before payment. Offer valid on full priced items only and cannot be used in conjunction with any other offer. Sale items and gift cards are excluded. Delivery is subject to stock availability for large order enquiries. You can select up to 10 units, if available, on the product page but you can add up to 99 units per product on the shopping bag page. If you increase the amount on the Shopping Bag page please click 'Update Bag' to make your changes. If the required quantity isn’t in stock, do get in touch as we may be able to make alternative arrangements. The Corporate Gifting account offer is 10% off when you spend over £1,000, 15% off when you spend over £2,000 or 20% off when you spend over £3,000 in a single transaction. This offer is only available online at spacenk.com/GB, and there is no cash alternative. In order to qualify for the corporate offering you must be registered as a corporate account holder, for instructions to do so please see step by step guide above. To be eligible on the Space NK Corporate Scheme you must prove that you are an active employee at a registered business address, and you must use a company credit card. Remember to ensure you are logged in before visiting the Shopping Bag page otherwise your benefits will not apply. Free next day delivery is only valid to one UK address. It is valid on all corporate orders providing we have stock available, and is subject to minor delays on high volume orders. All orders must be placed before midday for next day delivery, any orders placed after midday will receive their order within two working days. Click here to view our standard Next Day delivery terms and conditions. Free next day delivery does not apply to international orders. If ordering outside of the UK please note that deliveries may be subject to customs, regulatory or legal restrictions. To comply with local legislation, you or the shipping recipient may be required to pay additional taxes, fees or levies, import duty or formal customs entry may apply to all products purchased by SpaceNK.apothecary. We are unable to offer any assistance or advise if either issue arises. Some items cannot be shipped overseas due to legislation that prohibits the transport of goods that may be considered dangerous. These will include all our aerosols, fragrances and nail varnishes. For more information and a full list, please visit the Royal Mail website. Due to selling regulations NARS cosmetics also cannot be shipped outside the UK. International parcels are sent via Royal Mail International Signed For, and cannot exceed 2kg. Please ensure that there will be somebody available at the delivery address who will be able to provide this. We do not offer a credit facility. You will only be charged upon despatch. We cannot hold or reserve stock without payment. Being accepted to purchase via the corporate scheme does not constitute any form of business partnership. Reselling is strictly prohibited and orders deemed for that purpose may be refused and/or cancelled. You may not use the Space NK brand, logo or any creative assets from spacenk.com. N.dulge membership accounts cannot exceed a total N.centive balance of £1,000 at any one time. The maximum points issuance per transaction cannot exceed 5,000. Click here to view our full N.dulge terms and conditions. 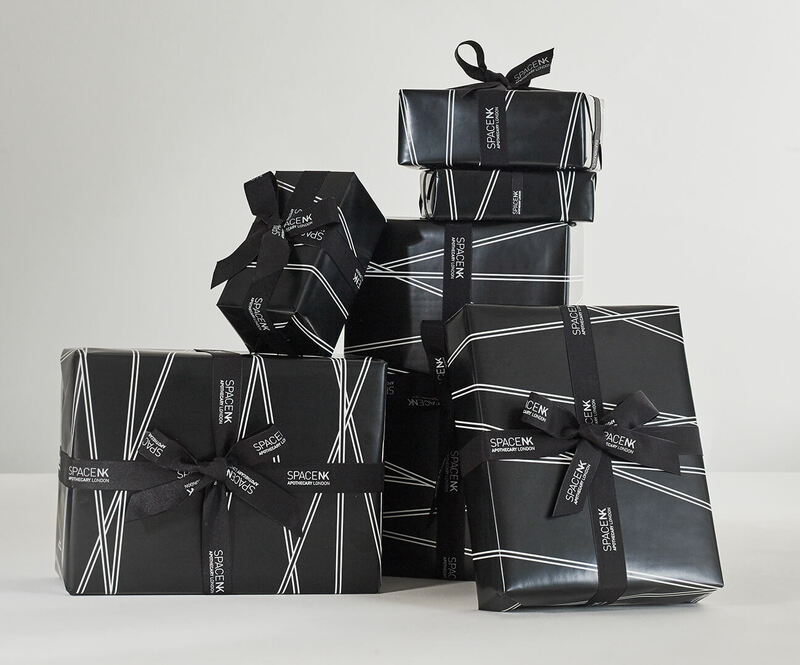 Space NK reserves the right to reject any orders and withdraw the Corporate Gifting Service at any time.